Today, the Bridgeport Classic Commemorative Silver Half Dollar Coin tells the story of the conflagration of 150 years ago that destroyed several buildings including the Barnum Museum. The Providence Evening Press extracted from several newspapers of the day to provide a description of the museum and the fire of July 13, 1865. The citizens of the metropolis and its suburbs, as well as thousands upon thousands of residents in other parts of the country who have ever visited New York—and few there are who have not—will learn with regret that that old and favorite place of entertainment, Barnum’s Museum, is in ruins, together with its millions of curiosities, including the whales, the happy family, the alligator, the costly and varied occupants of the aquaria, the seals and birds, beasts and fishes of every description, almost too numerous to mention. Also the valuable machinery and wardrobes of the lecture-room, and works of art and rare specimens which have been in process of collection and preservation for over fifty years by the present and former proprietors of the Museum. Thus is swept away, in a single day, the labors of a life time, involving a loss whose actual value to the historian and antiquarian can scarcely be estimated. Mr. Barnum began his career as a showman in 1835. In 1841 he bought Scudder’s Museum, paid for it in a year, and adding to it the contents of Peale’s Museum, formed what has since been known as Barnum’s American Museum. Here he has since remained, and has realized from the undertaking two colossal fortunes, one of which he lost in his unlucky clock speculations. Here he has exhibited all the remarkable curiosities which money and enterprise could procure. A model of Niagara Falls, the Fejee Mermaid, the diorama of the removal of the remains of Napoleon I from St. Helena to Paris, the Happy Family, the What Is It, the Lightning Calculator, the hippopotamus, whales, alligators, prize babies, big dogs, prize poultry, Tom Thumb and wife, the Belgium Giant, Commodore Nutt, Minnie Warren, Calvin Edson, the living skeleton, Julia Pastrana, the bear-woman, the (so-called) Madagaster Albinoes, and quite a regiment of giants, dwarfs, fat boys and fat girls, have at various times been the attractions of this unique place of amusement. There was also a large collection of minerals, shells, and stuffed birds and animals, which were of real value and cannot be easily replaced. A series of portraits of men eminent in the early annals of our history have been destroyed. Though valueless as works of art, they were not without historic value. A number of revolutionary and other relics are also consumed. Indeed, the accumulations of over twenty years have been utterly destroyed. Mr. Barnum, years back, kept alive the curiosity of the public to see his Museum by every effort in his power, sometimes by means that scrupulous folks have denominated as “humbug,” and sometimes by something stronger. But his tact and indomitable perseverance to make the museum an institution of New York, and sought after by strangers, must have met with a success that must have exceeded even his most sanguine nature, as the shoals of country people who crowded into the place to admire, inspect and be astonished at the site of Joyce Heth (the pretended nurse of Washington), the stuffed mermaid (made up of the head and body of a monkey and tail of a fish), and other homemade curiosities that maintained their popularity for so long a time, very plainly showed. 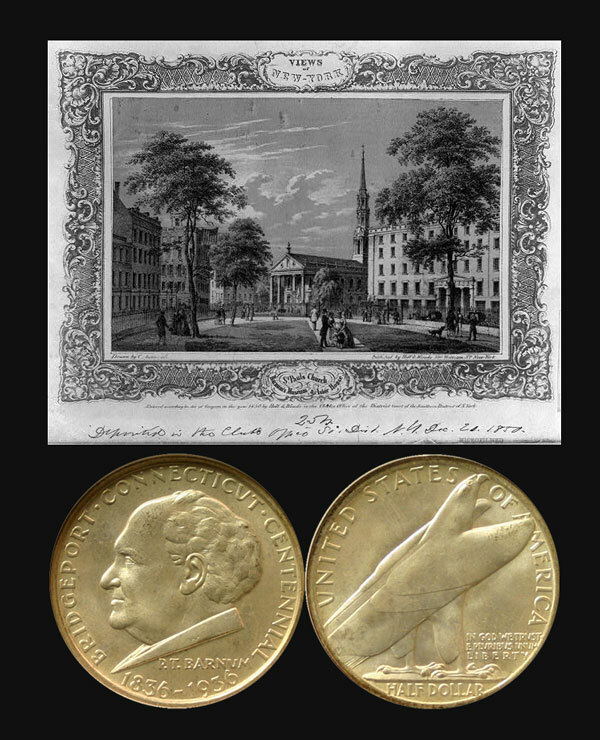 At this time Mr. Barnum’s name was know but little out of the States, but his engagement with Jenny Lind, and introduction of her to American audiences, together with his visit to Europe to exhibit Tom Thumb, made it familiar to sightseers not only on this continent but throughout the world. The fire broke out about half-past twelve o’clock, in the refectory in Ann Street, beneath the Museum, and the flames soon spread with fearful rapidity through the whole building. A gentleman who was in the Museum at the time the alarm was given, states that there were but few visitors in the saloons—chiefly women and children—and none in the lecture room. Great excitement was manifested, and the screams of the women could be plainly heard in the street, but owing to the prompt assistance afforded by the ushers, all, it is believed, were got out without accident. Streams of water were turned from the hose inside the building, but they appeared to have little effect. The firemen were promptly on hand, and mounting hte balcony on the Ann Street side, they dashed out the sashes, and soon had several streams playing in the interior of the building. The flames, however, gained rapid headway, and about one o’clock the whole interior of the structure, with the exceptions of that portion of it facing on Broadway, was a mass of flames, while a dense pall of smoke enveloped the exterior of the building. A lad mounted the roof of the building about quarter past one o’clock, and hauled down the Stars and Stripes, which were there floating, amid the cheers of the spectators. Considerable excitement was manifested outside, it being supposed that the place must have been crowded as usual, and that many lives must have been lost; but this, as already stated, was not the case. Among the hundreds of incidents of the conflagration a few were of great interest. The firemen were anxious in their endeavors to save the property, and some exhibited a great penchant for curiosities. One fireman was seen emerging from the building with a stuffed owl in his hands. Another fastened on one of the wax figures, and it is said that Mr. and Mrs. Tom Thumb and baby are not among the things that were. Also that several other curiosities have been saved, and will doubtless be restored to Mr. Barnum. Jeff. Davis’s petticoats (?) were seen hanging on a lamp post in Fulton Street soon after the fire broke out. The fat woman and the giant and giantess made their way out without difficulty, but hastened to conceal themselves from public exhibition in their hotel. The building belonged to the Astor estate, and was held by Mr. Barnum on a lease having a number of years to run. The contents were insured for about $75,000 in various city offices, whose policies averaged about $2,500 each. The engine was entirely bricked in, and the engine room lined throughout with sheet iron. As the news of the burning of the Museum spread over the city, thousands of persons flocked to the scene of the conflagration. From every section of the city the crowd poured down Broadway and Chatham Street to the burning of the ancient temple of curiosities. It was with the greatest difficulty that the police could clear the street to give the firemen a chance to work, but by the aid of heavy reinforcements from a number of the downtown precincts, they succeeded at last in clearing a large space around the burning building, the heat from which was so intense that thousands were driven back by the over-heated atmosphere. The Park, almost from the City Hall to the lower gates, was literally jammed with the multitude, among whom were many women, who seemed to be as anxious to witness the conflagration as the male portion of the assembly. The report that some persons, being unable to get out of the building, had been consumed in the flames, circulated among the crowd and caused a great deal of excitement. If the fire had broken out an hour, or an hour and a half later, there would undoubtedly have been a loss of human life, but as it is, no lives were lost except those of the members of the happy family and of other live curiosities belonging to the establishment. The alligator and the whales perished in the flames, and their remains are now smoldering away among the still burning ruins of the building. At two o’clock the fire had extended to a number of buildings on Fulton Street, and threatened to make a total destruction of them. The firemen worked vigorously, in spite of the great heat, and made every effort to stay the progress of the flames. Shortly after one o’clock the roof of the Museum fell in with a tremendous crash, leaving nothing standing but the front pillars which supported the first story. In this mass of burning debris were the one million of curiosities which had so long been the boast of the institution, and the admiration of the curiosity loving public. Fears at one time were entertained that the entire block would be consumed, but the firemen were determined that it should not be, and their efforts were crowned with success. At the Astor House the windows on Broadway were all closed to keep the heat from the interior of the building. One of the principal attractions of the Museum was its lecture room where the moral drama was enacted. The history of this department of the institution is full of exceeding interest. Tom Thumb’s career there is well known. It was there that he first appeared in public, and recently in company with Miss Lavinia Warren, now his wife and the mother of his first born. Commodore Nutt there began his courtship with Miss Minnie Warren, and there the “What-it-it” first made his bow to a New York public. Giants and giantesses, Aztecs and Siamese twins, flaxen-haired Circassians and fat women, lightning calculators and comic singers who made up their songs as they “went along,” and even Prince Barnum himself have appeared on the stage of the Lecture-room. Never again will they appear behind its footlights. It is burned up with the burnt monkeys and calcined kangaroos who made the museum their happy home. It is gone and who will not mourn its loss? It was the only place in the city where pious people could find pleasure in the performance of the pure and proper drama. To such its loss exceeds all estimation. Once on a time Jenny Lind visited the Museum, not to warble, it is true, but see the sights and be seen. When the Swedish nightingale hears of its destruction, if she don’t immediately chant a dirge to show her sorrow at the loss, she will be untrue to the better instincts of her nature. The Prince of Wales, too, honored the place with his presence, and pronounced the institution a “big thing,” an expression, which he learned from one of the Aldermen, who also taught the phrase to Japanese Tommy. By the way, Tommy also paid his respects to the Museum, and went back to his native land to recount what he saw there. Recently it was stated that Mr. Barnum intended to remove the roof, as he found it necessary to accommodate Miss Anna Swan, who was growing rapidly, and must have room to elongate. While the fire was at its height, a grotesquely shaped substance sprang from the roof of the building and landed in Vesey Street. That’s the Kangaroo, shouted the crowd, and a rush was made for the place where the object alighted. But it was not the kangaroo; it was a pair of leggings formerly worn by Big Thunder, the aborigine, during his sojourn at the Museum. The crowd felt much disappointed at not finding any kangaroo, and a general exclamation of “sold” was uttered by the crowd. At half-past one o’clock a cry burst from the concourse which stood in the square on Fulton and Vesey Street, that a woman was being saved from the fire. Curiosity was on tip toe to discover the lady, and behold the operation by which she was saved from a terrible death. The crowd did not have to wait long to witness the coveted scene of sacrifice and gallantry for a lady, attired in a pink dress, was handed down from story to story by parties inside. The form wavered to and fro, as if in a faint, and the assemblage became more and more interested in her fate. As it was lowered, loud cheers arose from the multitude, who rushed, despite the efforts of the police, to see the woman. They were, however, doomed to disappointment, for the woman proved to be one of the valuable auxiliaries which stood near the well-known form of Daniel Lambert, the giant, and the somewhat baby-face of Lord Byron. The involuntary deception created great merriment among the people. At one period during the early part of the fire, an escape of steam filled the assembled mass with terror, they evidently thinking that an explosion had occurred in the Museum. Instantly there was a rush for the Park and adjoining streets. Had a regiment of artillery opened with grape and shrapnel upon the people, more excitement could not have ensued. “An explosion!” “An explosion!” “Run! Run!” were the exclamations which escaped from ten thousand trembling voices. The jam was awful. Women, children, and not a few men were trampled underfoot. Many firemen were seized with the general panic, but soon returned to their past of danger. WE noticed numbers of children limp away, evidently hurt, and several had to be carried off for medical assistance. The loss of hats and caps was great. Beavers were lying by the hundreds all over the street pavement, but their owners could not identify them, as they were either torn to pieces or ruined by the mud. The Bridgeport Classic Commemorative Silver Half Dollar Coin with its image of Mr. Barnum shows with a picture of the Barnum Museum, circa 1850.